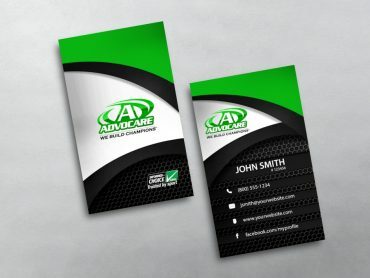 Choose one of our business card design template below to get started. The easy to use online design feature makes is simple to customize your business card in no time. 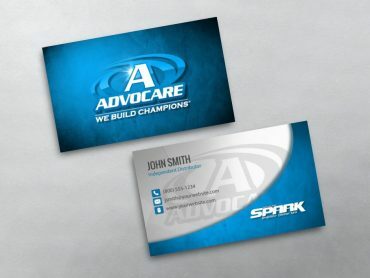 Trademark Notice: The trademarks displayed are used only for purposes of company description and identification. MLM Cards offers printing services for network marketing representatives, agents and independent business owners. MLM Cards’ printing products and services are not officially endorsed, sponsored, or associated with the trademark owner. 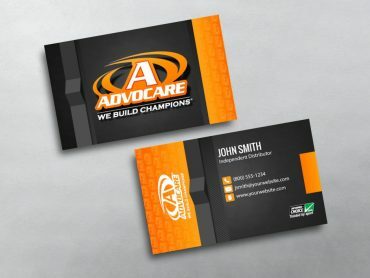 Does your business card have the ‘wow’ factor? 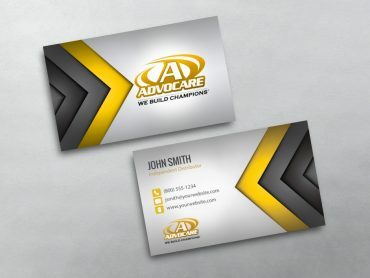 It represents the overall look and feel of Network Marketing business cards. It is the result of several elements put together in a neat package. 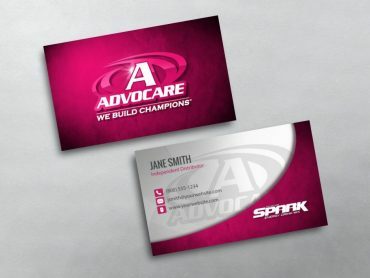 The elements include company strategy, design ideas, targeted audience, competition, styling, marketing, and colors. These elements need to be put together in a way that it helps your Advocare business card to stand out. 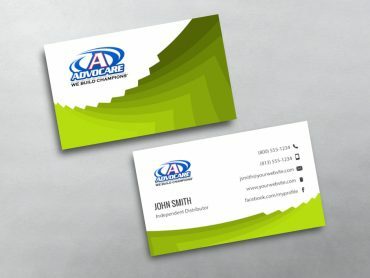 Why should my business card stand out? 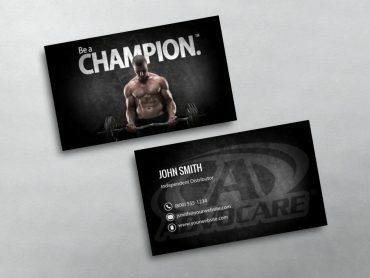 Can’t I use a regular or standard business card? 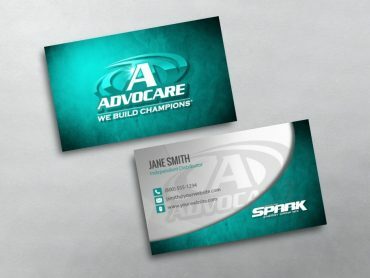 This is a question most often asked by many Network Marketing agents. 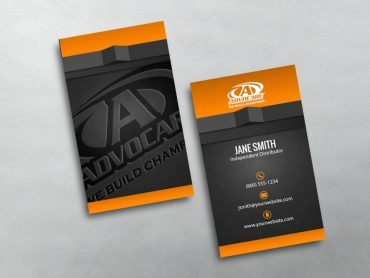 The truth is that with the help of certain design elements you can even make a regular business card stand out. 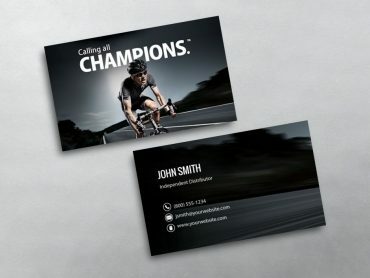 The reason why your business card should stand out is because you are one of the players in a highly competitive market. 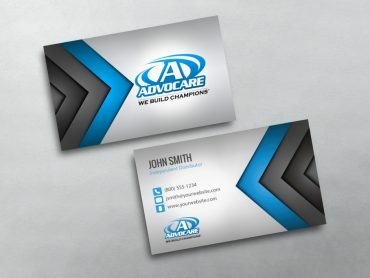 In the Network Marketing market, the face of competition changes every day as new players come in. 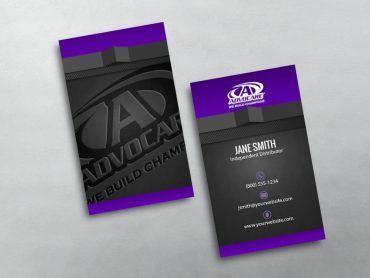 In such a market, you need to have the best marketing and branding tools to ensure you are one step ahead of your competition. This can be made possible by creating Advocare business card ideas that are better than that of your nearest competitor. 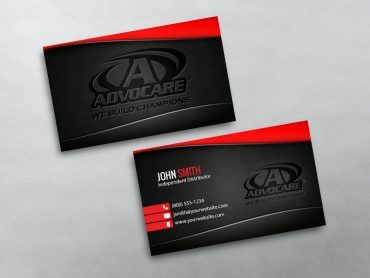 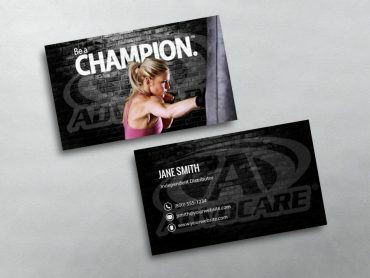 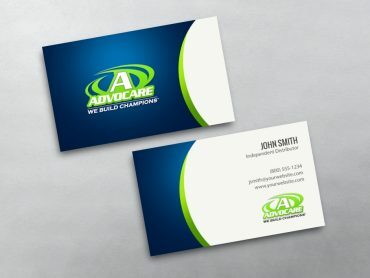 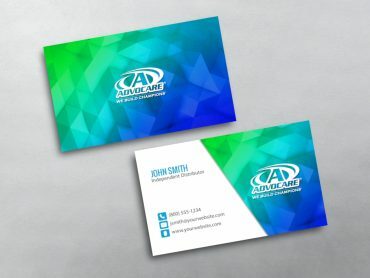 Color plays an important role in the overall look and feel of Advocare business cards. When creating a business card, it is important to remember that whether you are using a single color or multiple colors, they should be balanced and appeal to the prospect. 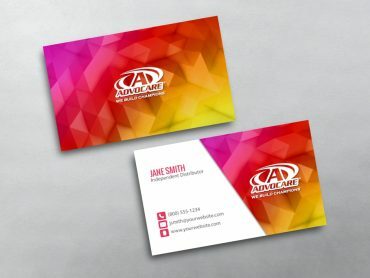 Color is considered a highly effective element because it catches the eye. Solid colors or gradients can be used in background or can be incorporated into drawings and sketches, images, headlines, and font. 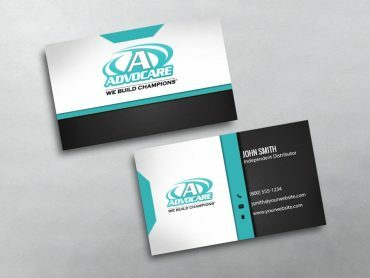 One of the best ways to start with colors is by downloading Advocare business card templates or any other template and start experimenting with colors. 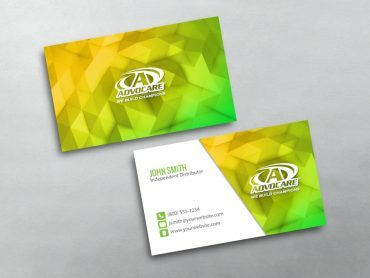 This will help you figure out which colors will make your business card stand out. 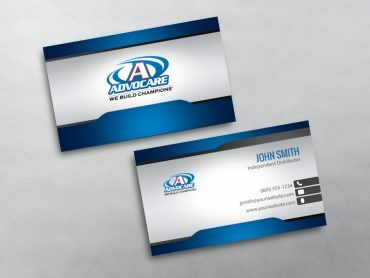 Gone are the days when Advocare business cards were made only on paper. Today, there are umpteen options, which ensure that a business card will not be thrown into the trash can. One of the key areas that the modern day options focus on is functionality. Keeping this in mind, business card magnets and stickers have been created. These magnets are offered in different and customized Advocare business cards templates. 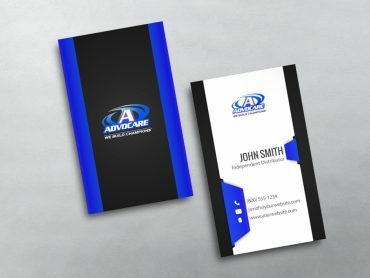 The essence of the business card magnet lies in the fact that it can be used for a number of purposes, including on magnet boards and refrigerators. This will help you achieve two objectives: first, your business card will stand out and second, it will ensure a high recall value. 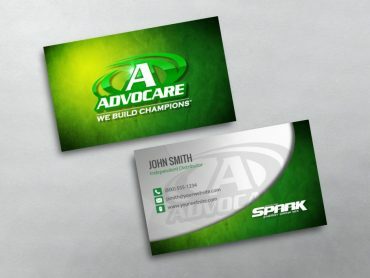 MLM Cards is the web’s leading provider of quality Network Marketing Business Cards and more. What we offer is more than just an idea; we offer a complete package. Our goal is to ensure that you are completely satisfied with the end product, and that is why we offer the most cutting edge online customization tools in the industry.